In remembrance of the over three hundred ancient and in many cases holy sites destroyed by Daesh. In grief and terror over the damage to and potential destruction of the UNESCO city of Palmyra, and the Temple of Ba’al Shamin. In silent protest against the attack and forced eradication of even the vestiges of polytheism across the world. This is not a Syrian issue. This is not a Muslim issue. This is a world issue. It is a human issue. Daesh is purposely targeting memory. They’re targeting their history, and their own *physical* connection with their polytheistic ancestors. It is done to demoralize, terrorize, and desecrate. 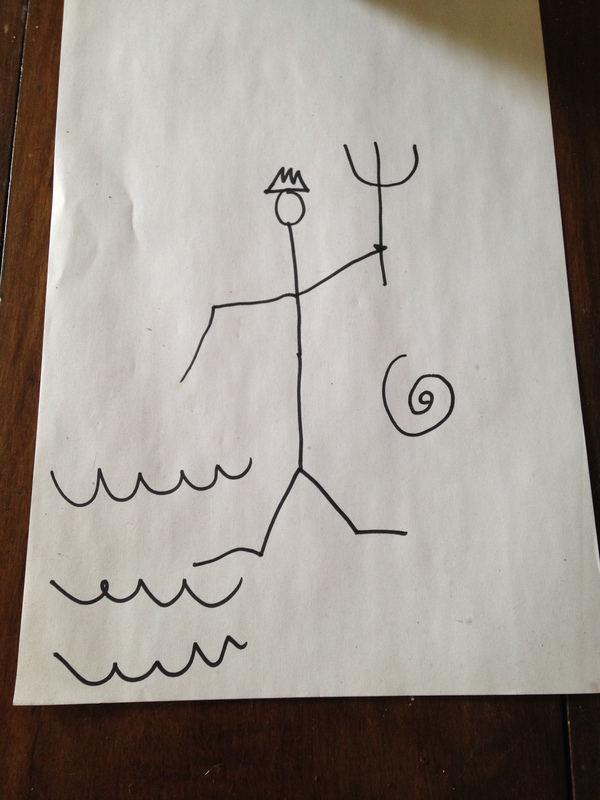 I got some surprisingly positive feedback from my first Poseidon drawing. Not only did Sannion give me props, it’s actually been spoken for by a backer for my crowdfunding campaign to illustrate Depth of Praise. Far be it for me to look a gift horse in the mouth. 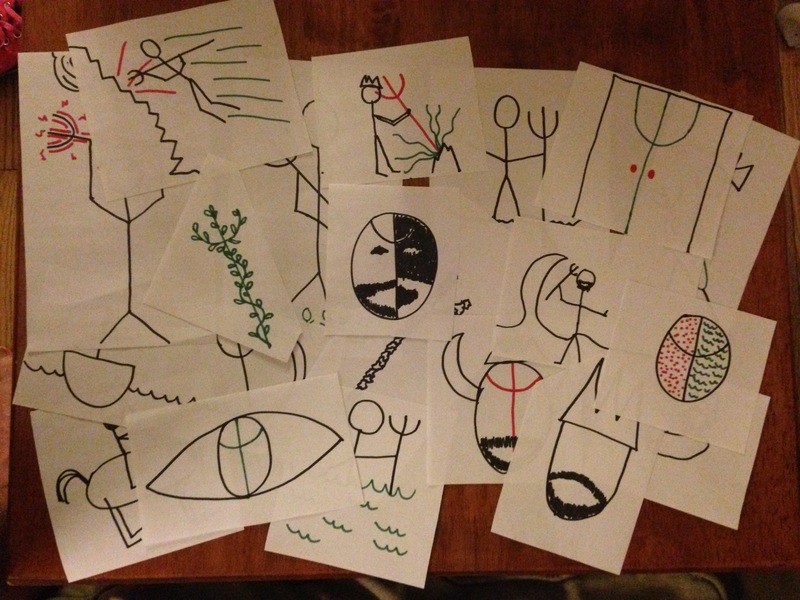 If stick-figure drawings of divinities tickle your donation-bone, I’ll tickle. They are much smaller, which allows me to bring down the price of both the art and the shipping. One of these could be flying to your door for as little as ten US dollars, a rock-bottom price that includes shipping anywhere in the United States of America and Canada. Each represents Poseidon as described by one of the epithets I praise in the book. The montage here offers some tantalizing hints how I visually interpret his many titles, but it’s my words that I trust will thoroughly knock your socks off. Here’s the rub: you don’t get to choose which one you get. I’m going to let Poseidon complete that task. Considering how much work writing and publishing all these hymns is creating for me, it seems only fair to ask him to share the burden. I’ll perform divination to confirm his wishes in this matter. Ten-dollar Poseidon drawings? Where else are you going to find a deal like that? Today’s Kickstarter update was a musing on what an illustration of Poseidon Phytalmius might look like. 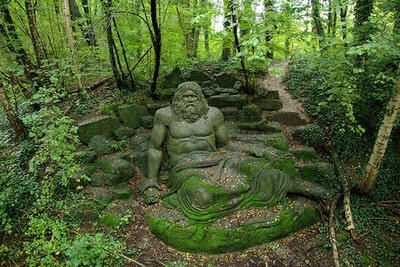 There are so many really excellent pictures drawn of Poseidon relating to the ocean, but not so many covering his earth-god aspects. That’s really part of why I want to illustrate Depth of Praise, to visually call out his more-than-just-the-ocean-ness. Of course, if I completely ignore his watery ways, I may end up all wet myself. Rest assured, breathless reader, I shall not. Indeed, my first illustration has been sold, and I am contemplating creating a few more to capture such epithets as “he who dashes against” and “of the coast” in my inimitable style. While you wait, feel free to dangle this post in front of anyone who might be willing to help get this project funded, or who has a bunch of friends in such circles. 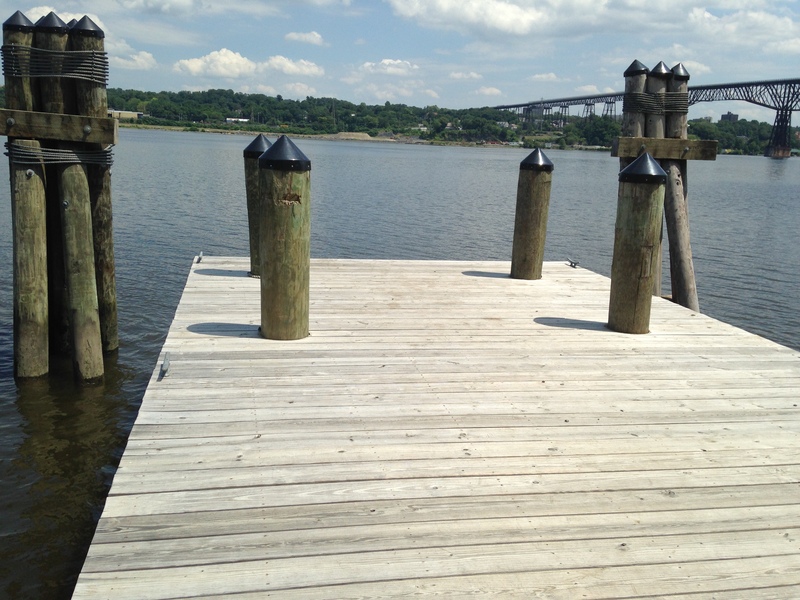 I visited the Hudson River yesterday to record a video for my campaign to raise money to illustrate Depth of Praise. There was some technological drama, and I’m still not sure if the video is viewable, but I assure it that it brilliantly captured my passion for Poseidon. Which might actually seem odd to some folks, given that I have never been particularly drawn to the sea. I’ve lived near it, my dad was really fascinated by tall ships, I’ve had family members express how much they yearn to look at the ocean when they’ve been away for a long time, but it’s never been the center of my life, nor of my relationship with Poseidon. The Hudson is, nevertheless, very special. You can smell the brine as the tide turns in this vast estuary. You can feel him reaching up into the ancient Appalachians among which this river flows. He is here. 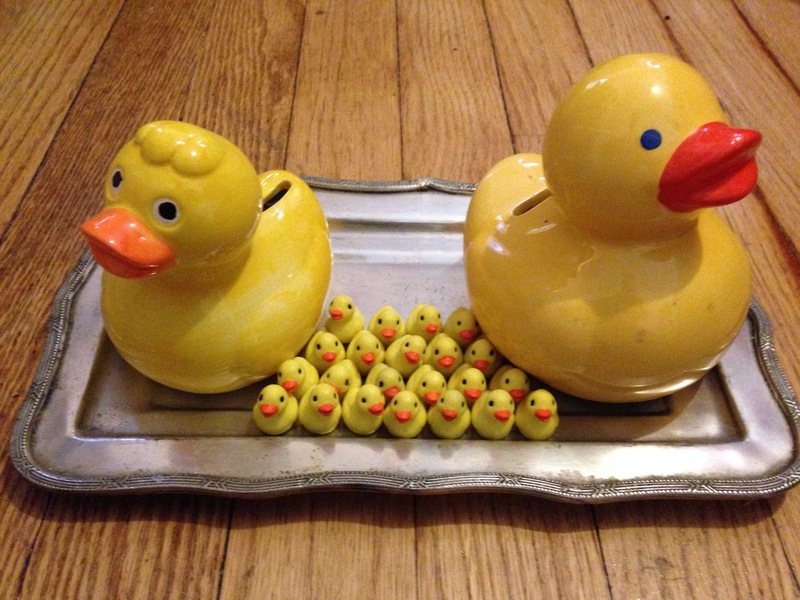 In my latest Kickstarter campaign update, I delve into the mystery of the ducks, and why I am asking a Ben Franklin of people who want a little rubber one lubed with some oil. Drink in the thoughts I share, and by all means, consider helping me illustrate my Poseidon devotional — reward levels start at just one dollar, after all. While I have received some feedback suggesting that my own illustration style is awesome, this is about much more than me. It’s about Poseidon, a mighty god who deserves to recapture some of the honor given him in antiquity. It’s also about putting artists to work. If you know someone who is incredibly talented but still has to flip burgers or sell lottery tickets to put food on the table, this campaign is for them. The gods and job creation. What better reasons to contribute could you possibly have than those? To fund illustrations for my book Depth of Praise, I’m running a Kickstarter campaign. Today, I’m offering an exclusive-and-unique new reward: my very own art. This image, Sharpie marker on legal-sized printer paper, captures exactly why I am seeking funds to professionally illustrate this book. You’ll receive this original work, mailed flat, for just $30 plus shipping and handling. In case I’ve not yet made the case well enough, check out the video and decide for yourself.